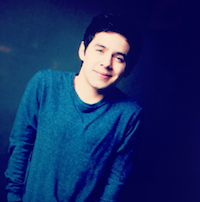 Whenever David Archuleta starts a new tour, we fans always declare it “best tour ever”… that’s because it is! The man ups his game every time and this new Postcards tour is no different. I was blessed to attend the Boston, Norfolk and Sellersville shows the past few days and had both my socks blown off, and much of the top of my head. I had only seen snippets of songs here and there so much of it was a complete surprise. And wow. Just wow. I literally walked around after the Boston show repeating OMG over and over again… not in a blaspheming way… in a “Man upstairs, please tell me what the heck just happened?? ?” kind of way. In a “Praise be, how did I get to deserve to experience such amazingness?? ?” kind of way. In a “who am I? where am I?” kind of way. It all started in the Boston VIP, where David’s acoustic version of Postcards brought me to tears. It was just so beautiful and the power and meaning behind the song just really hit me. Oh how I wish I had video for you, lol. The City Winery was lovely with the venue in a separate space behind a full restaurant in the front. Before they opened the doors for the show, they played David’s debut album and TOSOD over the sound system throughout the restaurant. The manager told me later they like to do that to support the artists they bring in. David sure sounded great wafting through the place. I still can’t get over how amazing this show is. The new arrangements, the flow of the songs, the mashups, the way it’s been carefully crafted to build into a crescendo of awesomeness. To me, the whole show had a playlist feel to it, weaving in and out of songs and the “postcard” messages David has strategically positioned throughout the set list. I’ve obviously loved David’s shows for his amazing songs and stories and vocals but this is the first time I’ve marvelled at the artistry of the show itself. How every element of it contributed to his overArching theme (* hides *). Giving us fresh new takes on songs we’ve heard, like I’m Ready and Invincible… genius… matching them with contemporary covers… genius… Dave Brunelle’s harmonies … genius… acoustic set to change the pace and mood and showcase the musicians and David’s incredible vocals… pure genius. And who knew Waiting in the Stars was the banging show opener we never knew we needed??! … you guessed it, G.E.N.I.U.S.!! And in Boston, during Postcards in the Sky, when everyone started waving the postcards that Amanda (@LangoneLady), Melissa (@melissad309) and Ashley (@Palrice8) (sorry if I’m misspelling anyone’s name!) had carefully made and handed out to everybody, David’s look of surprise and “Cool, I wasn’t expecting that!” was priceless. The emotional power of Glorious fused with You Say made me cry Every. Single. Night. Those songs were speaking to ME about ME guiding ME, comforting ME. I almost turned around to make sure other people were hearing MY songs. For real. And then, still all choked up, he starts singing Shine A Light, my second fave on the album (after Postcards), which I did not think he’d be singing… SOMEONE HAND ME AN ENTIRE BOX OF KLEENEX!!!! … sidenote, I take full credit for putting my phone flashlight up in the air during the chorus and starting it off, and then David suggested everyone do it… *bows*… it was soooooo magical… David had told us that the parents of his co-writer on the song, Isabeau Miller, were in the audience, which made it even more special. PARALYZED GETS ITS OWN PARAGRAPH!!!!! That song belongs on radio STAT!!! The groove of it, the power, the lyrics we can all relate to, the way David lets his voice fly. I need it in my phone so I can stop people in the streets and put headphones on them and push play because they need to hear it. (Several restraining orders currently prevent me from doing that.) It’s THAT good. And we heard that there are apparently more where that come from, just as good or even better. WE ARE NOT WORTHYYYYYYYYYYYYYY!!!!!!!!!!!!!!!!!! When David does a certain vocal run on tour, does he ever think, “dang, I should’ve done it that way on the album”? David said not really, because he tries out so many options during the recording process that he’s happy with what they end up with for the album. And also, he said he’s less focused on “showing off” vocal “ad libs” and acrobatics than he might’ve been earlier in his career. He gave Invincible as an example. How simple his delivery is on that song. Which supports the theme of the song… “I don’t have to be invincible vocally either.” Then he added that he’ll be working on an upcoming project where those vocal acrobatics will come into play… his long-awaited Spanish album… HUGE cheers in the room for that answer… he said that’s because you can be more expressive and emotional with those songs. I also loved this question: Do you have any big career goals that you’re working toward, that you haven’t achieved yet. And David answered that yes, he does. That he’d like to get back to the level of mainstream music success he once had, get back on the radio, but do it for the right reasons, to make music with a purpose, music that feeds the soul, music that might be fun to listen to but also lifts people and helps them look at things in a new way. I was just so happy to hear David declare out loud to all of us there what he’s aiming for. Saying it is halfway to doing it. And it just shows a huge leap of confidence, imo. He didn’t say it in a boastful way, but just simply and honestly putting that out into the world. Sorry this is so long… I will add things in the comments if I remember anything more. You can find incredible vids on the illustrious DJbell’s youTube channel HERE. 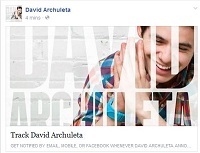 This entry was posted in Concert recap and tagged David Archuleta, Postcards in the Sky. Bookmark the permalink. Loved reading this! Thanks so much. So glad to see a reflection of your tour experience. I loved it! So many goodies here. Thank you. I can hardly wait for him show up in Boise next week. OK, that’s an understatement. Eeeeeep! This was such an awesome road trip!! So glad I was able to be there beside you for every year, lol! 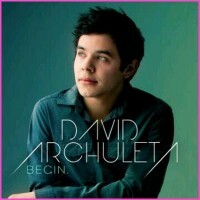 I really am amazed by the new music and I’m pretty sure big things are ahead for David. It hit me so hard this trip how blessed we are by this young man, truly! His thoughtful answers at Vip and his humble confidence are great to see. I get a sense that he really is ready for the next stage of his career, and he will get his message out! The fan meet ups!! Gosh, so good to have a “noting David” mini reunion!!! ((((hug))))s you guys and thanks ((((TOfan)))) for being such a splendid recapper!!!! Finally, it’s always such a pleasure to see everyone. ❤️❤️❤️ It was too short this time and I missed seeing a lot of people! My heart jumped I remember that look on his face when folks waved the postcards last tour I gave out. He sure can smile with those eyes while singing!!! So fun!!! What an excellent recap and tour experience Tofan! So nice that you (and Refnaf) were able to travel to a few shows. Loved reading through this! The videos that I’ve seen are wonderful, with those and recaps like this….it really is the next best thing to being there. David is in such fine form and yes, he does seem to ‘up his game’ every tour. IMO. He would just have to find a label that would allow him to be who he is and not try and morph him into something else. Actually his songs of late really speak for themselves. I can’t add anything to your recap of David’s shows. You captured all the awesomeness, amazingness & gloriousness of David’s phenomenal-ness. He is so crazy good to the point that he is almost too good to be true. And I don’t even have words for his new song “Paralyzed”! It’s so good, that in my humble opinion, the popular songs by popular artists that are currently played on mainstream radio don’t even come close to David’s new song and vocals! It was great, as always, seeing you and all his fans in Boston and Norfolk, so many who my travel buddy, Sandy Beaches and I, hadn’t seen in years! It was definitely another memorable experience! Was soooo great seeing you and SB again!!! The best of concerts, the best of times, the best of friends!! Should David sign with a label again?? I’m torn. I love that he can 100% do things his way with zero compromise … but with a label, he’d get more promo and push for radio (where he belongs!) … there are some more artist-centred labels out there these days so finding a good fit would be key. I love all these interviews that David has been doing, he really shares from his heart. Great promo too. As for signing with a label, guess that is something he will have to weigh in his mind…the pros and cons. Would give him radio push, which would be great…but it’s true, finding a good fit is key. Maybe a short term contract to try it out, who knows. Thanks for all the updates here TOfan! To label or not to label – what I know about any of it would fit 1000 fold in a thimble, if that makes sense! Whichever path he takes, my personal wish for him is to get the recognition he deserves for his incredible talent, for as many people as possible to be able to enjoy that unique talent, for him to earn as good a living as he can given the blood, sweat and tears he is putting in regardless, and make the music he wants to make. Pros and cons for each, give and take, like most things in life. I have confidence he will fully research his options, decide what is best for him, and it will be. I love reading here. Deb, you and all those who comment are so good with words. So good. This tour is so amazing. Every time I think “oh he can’t get better than last time, because it was so great.” And then I’m flattened. I think you are just now realizing what many of us have known for a long, long time. I saw it in you those first few performances on idol as did Simon when he said, when you’ve got it, you’ve got it. It warms my heart tremendously that you are now willing to take it to the next level. Talent and heart like yours should not be kept from the world. PS. 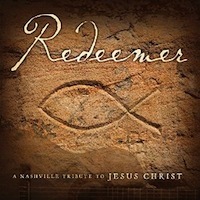 So happy to hear you say Smokey Mountain Memories was your fave to do on Idol. I couldn’t understand why that was my most replayed (to the point of breaking the DVR at 2am, lol) but now I get it. It was your connection to your beliefs that brought that something extra to your performance that night. I couldn’t articulate it then (and still can’t) but I remember how it made me feel. Ohmyheck!!! Love how he’s been really letting loose and feeling the music! Reminds me of the spontaneous dance breaks Maggie Rogers does in her live show, only more dancing, less flailing, lol.